Fresh out of the academy, White Cop experiences his first taste of Aboriginal community life, as Black Cop puts him to the test. Ben is a young soccer player who believes that winning his team’s MVP trophy will solve his family problems. When he misses out on the award, he takes matters into his own hands. A lonely train driver must confront his traumatic past on his first day back on the job. A tough as nails teenage girl breaks into a house seeking repayment for a debt, but ends up finding more than she bargained for. 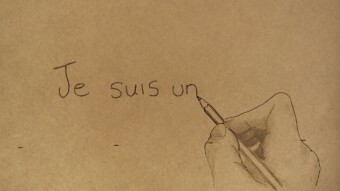 ‘Je suis un Crayon’ was inspired by 3 million people in France who marched in support of unity, peace, and freedom of expression. The pencil (like the artist) has an innate drive to create and will always express ‘the world as it is – as it sees it’ whether it has been granted permission or not. A door-to-door ‘Death’ salesman (Ewen Leslie) struggles to close the deal with a fabulously difficult customer (Robin Nevin). Death in Bloom ponders a simple, macabre question; what would you do if Death comes knocking? It’s Australia Day. Three mates surprisingly run into the thief who stole their carton of ciders. They dish out some disproportionate payback but are left reeling as they face the unexpected blowback of eye for an eye style justice. 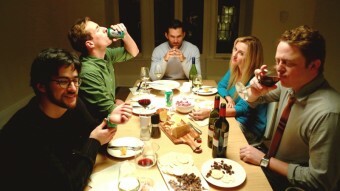 A world governed by strict rules of behaviour…the middle class dinner party. A lonely roadside diner. The patrons seated within lazily go about their business, oblivious to the startling events that are about to take place. A mysterious figure slowly approaches. But nothing here is what it seems. 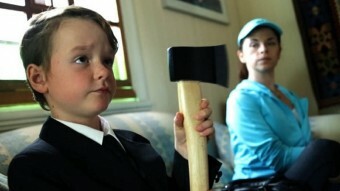 A man plays an imagination game with his grandson and discovers a shocking secret.